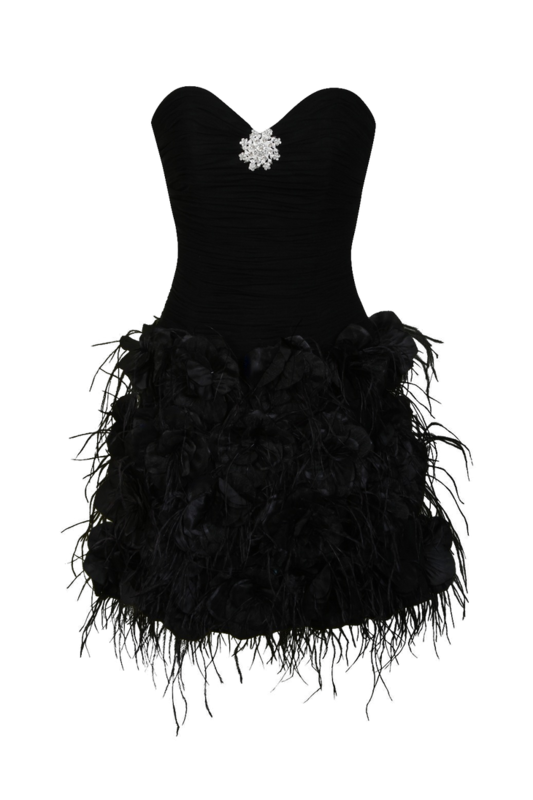 Black dress is the most versatile, glamorous and indeed an incredible item that is there in every girls’ wardrobe. When it comes to fashion basics and trends, nothing can really beat a black dress. If you are perplexed as to how to accessorize your black dress, just give away your worries because when it comes to gelling up with black, almost everything looks flawless. The best thing about the black dress is that it can go a very long way. From office to the pub parties, just the change of accessories, jewelries and style would give you a totally new look. There are some important points that you should keep in mind while picking up the jewelry for your black dress. It is rightly said that “always dress up according to the occasion”, for the casual occasion, pair your black dress with some fine neckpieces containing crafted shells, beads, or the bohemian jewelry. For some added flair, wear some bangles. While heading for the formal occasion, go in for fine and elegant jewelry. Costume jewelry and a sleek bracelet add on to the elegance and glamor. Since every color matches well with black, black dress is said to be the most versatile piece in the wardrobe. However, colors like electric blue, leather brown, dark purple and other darker shades drain the beauty of your dress and thus jewelries of these colors should be avoided. If your black dress has a simple jewel neckline, go in for long neckpieces and necklaces of medium length. Chokers would look a fashion disaster. While with strapless, it is the chokers that add on to the glam. With V-shaped dresses, pendants go well. Thus select jewelry according to the neckline and its shapes. Always keep your jewelry simple and minimum if your black dress already has beads, sequins, glitters, or any such ornamentation. Choose a decent basic bracelet, long elegant earrings and remember to stick to just one colored jewelry. Make sure that you do not spoil the existing ornamentation of your dress with the over accessorized jewelries. While accessorizing your black dress with jewelries, make sure you choose those neckpieces, waist bands, bracelets, earrings etc that compliments your body structure. If you are small heighted or curvy, restrict yourself from wearing long, heavy neckpieces, earrings and bracelets. For the tall ladies, long pendants and necklaces look overwhelming. Thus using the above given tips you can surely match your black dress with perfect jewelry piece and look stunning. Previous articleSemi-Permanent Makeup: Fashion Fad or Harmful?